This post is the third in a year-long series celebrating the 40th anniversary of the Endangered Species Act. Read last month’s post here. In talking about saving rare things, the question of “What good is it?” is often raised. After I set aside my unvoiced, impertinent rejoinder of “What good are you?” I still find the question of a species needing to have use a rather odd one, along the lines of “What good is beauty?” or “Why keep all the pieces of the jigsaw puzzle?” And I could talk about intrinsic value, or about potential undiscovered uses, or about the morality of stewardship over destruction, but I won’t. I want you to think of a place. A wild place that you love, and what makes it different from any other place for you. Unlike Mt. Tamalpais, which has thousands of acres of serpentine soils that provide homes for plants found nowhere else on earth, San Francisco only has a few patches. In the early 1900s Alice Eastwood named a new kind of manzanita the Franciscan manzanita (Arctostaphylos franciscana), as it grew on three of the rare patches of thin soil in the City and nowhere else. But San Francisco was a growing metropolis and the first site was lost to a subdivision; two others remained in cemeteries. But when San Francisco’s land became so valuable the buried dead were shipped to Colma, the last populations of Franciscan manzanita were also dug up. Alice Eastwood bemoaned the loss of the wild plant she loved as Laurel Hill Cemetery fell to the blade, even though her colleague took cuttings to grow in a garden; would we celebrate the last wild tigers living in zoos? She grieved the loss of a plant that made “her” place what it was, a place like no other on earth. In a new chapter for the Franciscan manzanita, ecologist Dan Gluesenkamp doing what many of us do—scanning roadsides for weeds—saw a mound of manzanita growing next to an off-ramp. The area had been cleared of taller vegetation in preparation for the Doyle Drive work near the Golden Gate Bridge. He thought perhaps it was the endangered Raven’s manzanita (Arctostaphylos montana ssp. ravenii), another plant that once grew with the Franciscan manzanita but still exists in a single genetic individual growing as clones around the Presidio. The shrub turned out to be the Franciscan manzanita, now a listed endangered species that has been moved to a different spot on the Presidio. So how does this tie to Tam? 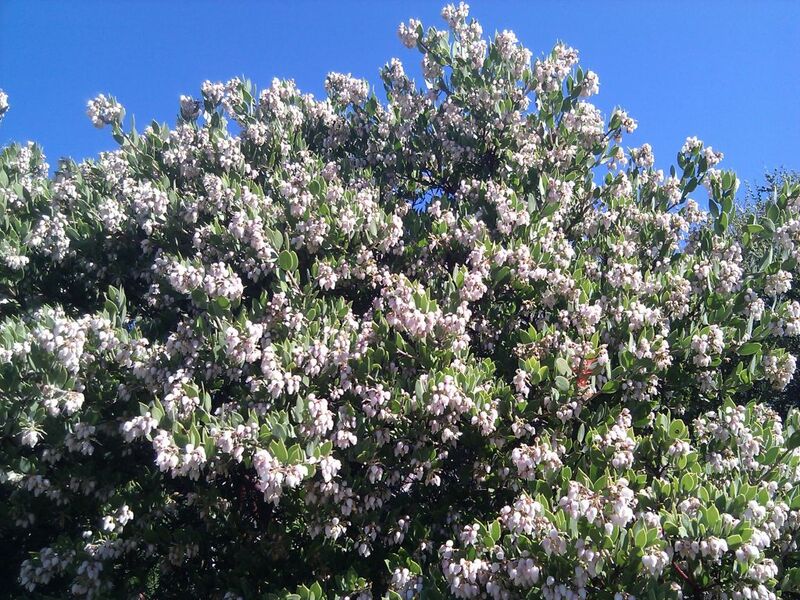 We have our own “rare” serpentine-loving manzanita, the Mt. Tamalpais manzanita (Arctostaphylos montana ssp. montana), but instead of a few individuals we have several thousand. It’s one of the dominant plants in our serpentine chaparral, one of the plants that make Tam different from any other place. And as the closest living relative to the endangered manzanitas of San Francisco, plant experts turned to our populations to test germination methods for any seeds of the Franciscan manzanita in the soil salvaged along with the plant. Our wealth of serpentine and foresight in setting land aside a century ago may help contribute to the saving of a species, returning a piece of uniqueness back to the world. 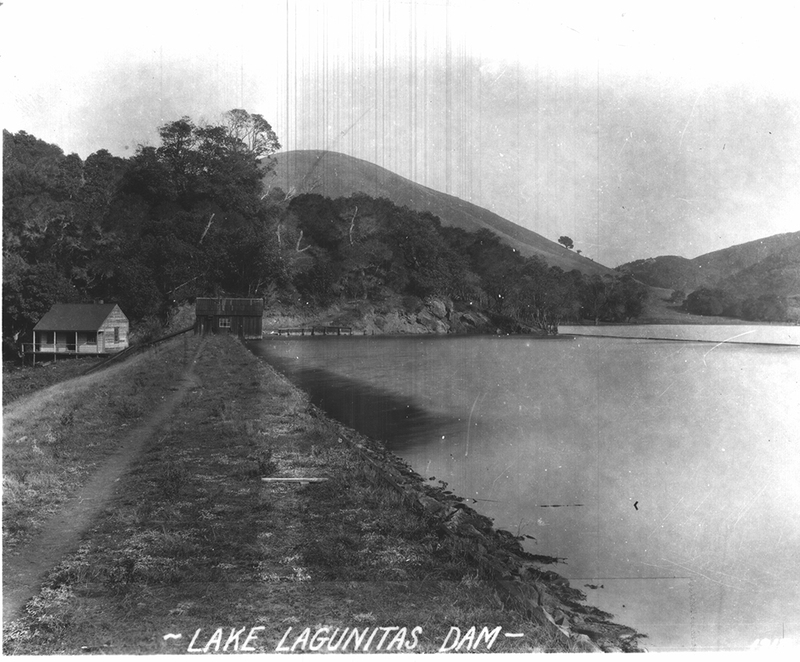 The earthen dam that forms Lake Lagunitas was built in 1872 for $95,000 by William T. Coleman’s Marin County Water Company. Coleman established his company to facilitate the sale of real estate in his private development of Magnolia Park (now the Dominican neighborhood in San Rafael) and to supply other potential development in the San Rafael area and the state prison at San Quentin. The dam was designed by Herman Schussler, chief engineer of the Spring Valley Water Company in San Francisco and built in less than four months by Chinese workers who were paid just $20 per month. The crest of the dam was 480 feet in length with a width along the crest of 20 feet. Capacity was estimated at 150,000 gallons, enough to last San Rafael for two years. In December 1877, Marin County’s first telephone line was completed between the Marin County Water Company’s office on C Street in San Rafael and the lake keeper’s house about 100 yards below the dam (the cottage was destroyed by fire in 1925). The company built the 6 miles of line and rented the phone equipment for $5 per month. The dam was raised two feet in 1912 (the same year MMWD was chartered) and another two feet in 1935 to its current capacity of 350 acre-feet or approximately 114 million gallons. MMWD came into possession of the reservoir and surrounding watershed lands in 1916. One hundred years ago in August 1912—three months after MMWD was chartered as the first municipal water district in California—a small group met in the Marin County Supervisors’ Chambers at the Old County Court House in San Rafael. The group’s purpose was to launch the newly created public water district. That first Board of Directors’ meeting lasted a short 30 minutes with 11 of the 13 board members present. The two most well known of the group, William Kent and Michael O’Shaughnessy, were absent, but their presence was felt in the proceeding. In that short meeting five resolutions were proposed, and all were unanimously adopted without debate. In addition, the board hired Clarence S. Whitaker as secretary for the board and Sausalito attorney George Harlan to serve as the district’s attorney. Harlan also represented Marin in the State Assembly and had been instrumental in achieving the legislation authorizing the creation of the district. Harlan continued to serve as the district’s lawyer until his resignation in 1934. William Kent and Michael O’Shaughnessy were the most obvious candidates for the office of board president, but the board did not appoint either. They choose Robert Trumbull of Novato instead, who was appointed to the district’s board by the County Supervisors. The decision not to choose Kent or O’Shaughnessy was made with their consent and probably their recommendation. It had been agreed that it was necessary for the top officer to be frequently in the county. Neither Kent, as a sitting member of Congress, nor O’Shaughnessy, as the engineer for the City of San Francisco, could provide the onsite time required. The group concluded their first meeting by sending the absent O’Shaughnessy a request that he prepare an estimate of the amount of money the district might need for the first year of operation. After consideration, O’Shaughnessy estimated that $20,000 would be needed during the first year, with most of it to be spent to inventory and investigate the existing water supply and the possibilities for further development. Also at the conclusion of that first meeting, the board directed Whitaker to publish a request for all holders of waterworks to submit to MMWD detailed and itemized proposals of sale or lease of their water rights and waterworks (document shown at right). Thus began the four-year process of assembling, from the private water companies, all the waterworks necessary to begin building the MMWD water system. The Moya Library/Ross Historical Society invites the public to learn about the protection and preservation of Mt. Tamalpais as told by Tamalpais Conservation Club (TCC) President Larry Minikes and Marin Municipal Water District (MMWD) Chief Ranger Bill Hogan on Friday, September 21, at 11:00 a.m. at the Marin Art and Garden Center in Ross. The TCC and MMWD were established 100 years ago in 1912 with a shared interest in preserving the Mt. Tamalpais Watershed for its scenic beauty, for public enjoyment, for habitat preservation and—particularly for MMWD—for public water supply. The presentations are $5.00 at the door. The new book, To Save a Mountain, by local historian Barry Spitz will be available. A luncheon is planned after the presentations for those who made reservations by September 14. For more information, click here to view a flyer about the event. The Marin County Free Library is sponsoring a special screening of the 1914 silent film Salomy Jane on Sunday, Sept. 30, 7:00 – 9:30 pm, at the Smith Rafael Film Center in San Rafael. The film is based on a Bret Harte story and is the first production of the California Motion Picture Corporation, whose studios were located in San Rafael. 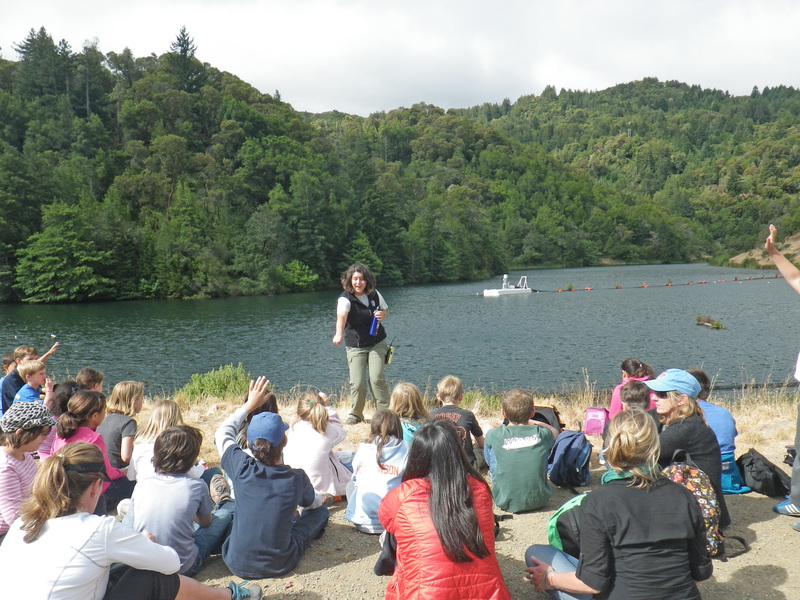 Parts of the movie were filmed at Lake Lagunitas on the Mt. Tamalpais Watershed. The screening includes an introductory talk by film historian David Kiehn and librarian Laurie Thompson. Piano accompaniment by Bruce Loeb. Admission is $15 and advance tickets may be purchased online. Proceeds benefit the California Film Institute, the Anne T. Kent California Room and the Marin History Museum. Click here for more information.